Indian Cinema completes 100 Years this year. 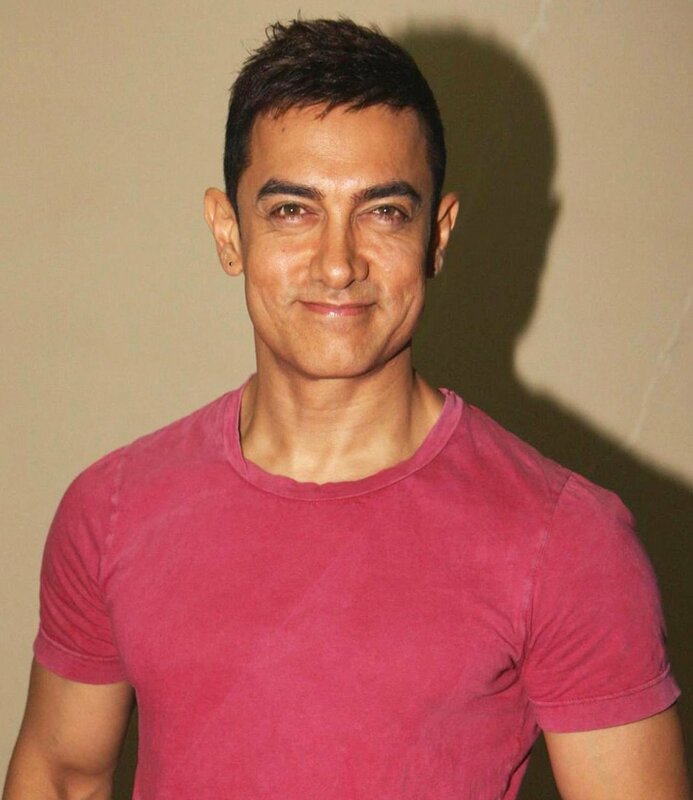 And this same year Bollywood’s own Mr.Perfectionist Aamir Khan also completes his 25 Years in Indian Cinema. The Superstar, The Chocolate-Face, The man with the Midas-Touch, The actor who chooses ‘Quality’ and not ‘Quantity’, Talks about his Journey face-to-face with Faisal Saif..
Congratulations on celebrating your Silver Jubilee in Bollywood.. The time has moved so fast (Smiles). I don’t understand how fast have i traveled these 25 years. During my debut in QSQT (Qayamat Se Qayamat Tak), I had no idea how long will i survive. I was very new and i used to hear that an actor’s life is only for 5 years. After 5 years, People start getting bore of you. I had my own insecurities when i started out. And this is the most happiest moment for me where i am a part of this Film Industry for so long. Co-incidentally, Indian Film industry is also celebrating it’s 100 years along with my 25 years. I would like to thank those writers and directors who have worked with me, Because without their contribution, I wouldn’t had walked this long journey of mine. I would like to thank Nasir Sahab (Nasir Hussain) who is my uncle and who gave me my first film. I would like to thank Mansoor Khan who directed my first film. I would like to thank all my co-actors including Juhi (Chawla) who worked with me. I have learn t so much from everyone be it Cameraman, Sound Recordists, Music Directors, Lyric Writers etc. I would like to thank my Audience who tolerated me for 25 years. They saw my films, Showered their love and respect on me. The love of my Audience is priceless for me. And after my Audience, I would like to thank my Family who stood with me every time. I thank my family for the support they have given me, Be it my Mother, Father, Reenaji (My first wife) and Kiranji. You are always considered as a powerful star.. When i was new i had no idea how my career will shape up. My first film QSQT was a block-buster and i became an over night star. My world became upside down. But after that there were few films of mine which were unsuccessful. I did mistakes and learn t from them as well. But when i think of that phase i feel very proud because those mistakes made me a better actor. At that point of time i made a strict decision for myself. I will not sign a film for money, I will not do a film for Big Banner or a big Director. But i will do a film if only my heart is convinced over the script. From last 24 years, I was firm on my decision. I have always kept a non-compromising attitude when it comes to quality. And you had no fear while taking that strict decision? I walked alone when i started off. People used to think that i am new and i am not signing many films and it will be hard for me to survive. They also used to laugh at me as I worked totally opposite of Film Industry’s law. And i kept convincing myself that i never knew any other way of working. It is all by the blessings of the almighty that i got successful every time. What is a Power according to you? Power is something that works only when you make a proper use of it in a good way. If i am that powerful who can handle 100kgs at a time, And some huge weight falls on you and i don’t help you in that, What is the use of me being so powerful? Any films that you regret doing? I don’t regret any films that i have done so far. I know that i have done some films which were not made up to the mark or which have not worked at the Box Office, But as i have said earlier, I have learn t from those films. I give my failures as much importance as my success is. From marketing a Film to shares buying, You have always been a Trend-Setter..
(Laughs) No it’s nothing like that. I only take those decisions which i feel is worth taking. I am not scared on walking on a new path or taking a risk. Because my motto is those who have truth and courage in their hearts, They always win. Any Negative or Positive points in you which you think have worked and scared you away at the same time? (Thinks) Ok according to me, I think i have two qualities in me which are good and bad at the same time. First is my passion and madness towards my work which i also consider as my strength. But it can be dangerous to me sometimes, For the simple reason when passion and madness grows high on you, You sometimes forget everything around you. The second quality in me is i am very stubborn. Carrying this stubbornness in me, I have done few films where people came over to me to advise me that this could be Flop (Laughs). You were also having some bad phase with Media sometimes back? As i said i am Stubborn too. In my career there were few false news which were carried out by media and i took it to my heart. I am also a very emotional person and i thought to myself that when Media doesn’t like me, Why do i have to show them my face. So i started keeping a low profile because i was hurt. When i get hurt, I do not retaliate. The Media got more upset over this. I was in a situation where i didn’t knew what to do (Laughs). I asked myself where i am going wrong? I got no answers. Later i did a film called Taare Zameen Par where i met Dr.Shetty and discussed with him. He made me understand that a child needs only four important things in life. Security, Trust, Dignity and Love. I got the point and i started these four important factors with media. Because not only a Child, But we as a grown-up needs these four factors too. Which Actress had a lot of contribution in your life? I think it’s one and only Madhubalaji. She gives me one smile and i am gone (Laughs). One last question, Do you remember your first day of your shoot? Yes i do remember the first day of my shoot very clearly. It was a scene in QSQT and we were shooting in Ooty, Where me and Juhi Chawla are in the Jungle and i wake up in the morning only to find Juhi Chawla is misplacing. We were ready with the equipment and everything and suddenly this Fog comes in. And the Fog didn’t move for 8 hours and the whole day was wasted. I thought to myself that how unlucky i am that my first day of the shoot didn’t happen (Laughs). Will i be able to make it as an actor for rest of my life? So the log line of the story is please don’t be superstitious, Even if your start is not easy, Keep walking.